MOSCOW, September 15. /TASS/. Crews of more than 10 long-range Tupolev Tu-22M3 (NATO reporting name: Backfire) bombers of Russia’s Aerospace Force carried out strikes against the simulated enemy’s airfield facilities at an air proving ground in the Transbaikal region, the Defense Ministry said on Saturday. "Pilots of the long-range aviation hit the targets designating aviation equipment stations, aircraft at a runway, shelters of aviation equipment, warehouses and an airfield control tower of a simulated enemy," the press service said. According to the ministry, air bombs weighing up to 500 kg were dropped during the exercises. 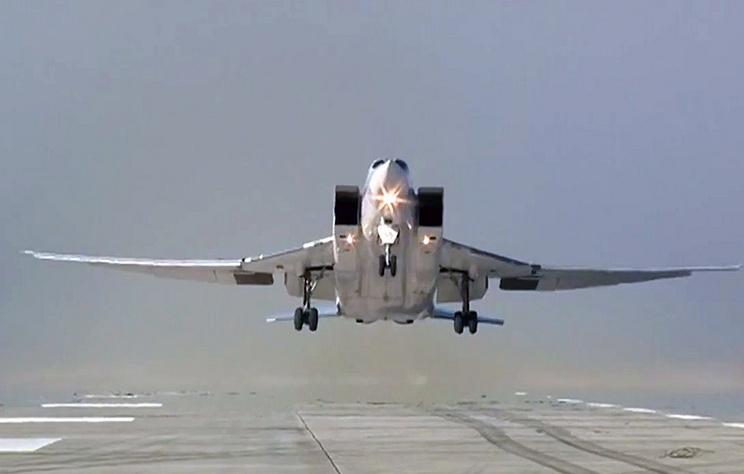 More than 10 crews of Tu-22M3 took part in the flights.